Last night there was torrential rain so it must be Summer. Women get to run around almost half-naked in this season; if men want to look respectable we still have suits or at least formal shirts to contend with. And we don't like the sweaty patches look. Last year I was on assignment for the New Statesman in Gibraltar, wearing my 'lightweight' pale grey suit and when I took the jacket off I looked as though I'd been in a shower. Whether a shirt from Smartweave would have overcome that level of saturation I don't know, but I've worn the sample they sent twice on hot days and it seems pretty effective. No patches, but I was definitely perspiring like a whatsit underneath. It would have added to my confidence in any meetings I attended whilst wearing one. Don't get me wrong; you'll still niff a bit. Some journalists in the Nationals used the shirts in the gym or on long cycle rides to test them and I wouldn't advise that - but for ordinary use, keeping yourself comfortable and dry, the shirt seemed about perfect. 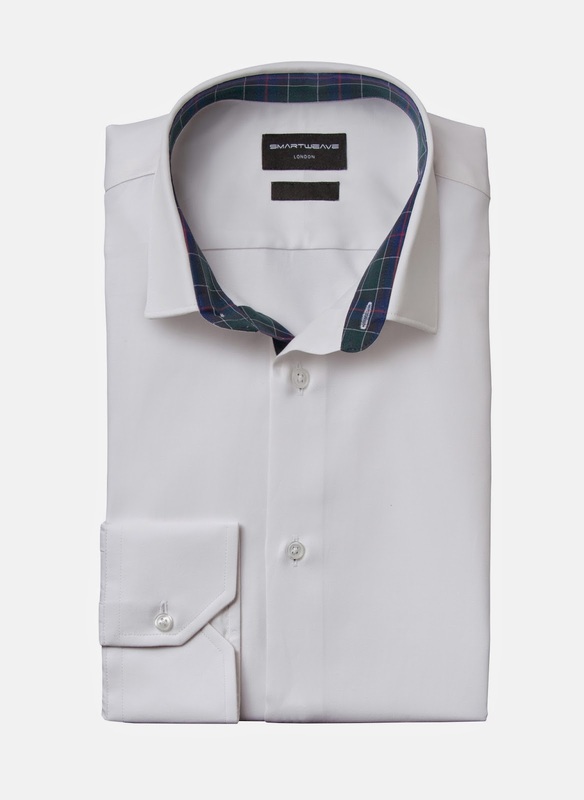 There's a good selection of shirts on the site with variations in collars, fits and cuffs; illustrated is a relatively casual white jobbie with a tartan trim, I have the grey with black trim and it looks very good indeed. If you want to go formal for work shirts you can do so, without the trim and double cuffs for cufflinks are available. I did a little mystery shop and asked the difference between tailored and slim fit, not telling them I was writing about their company, and had a thorough response within an hour, which bodes well for customer service. Also the shirts are well put together; the fit is good on me and the seams appear strong. I'm not short of shirts, if I'm honest; if I were I'd certainly be looking at spending around £75 a garment from these guys. Best thing: Appears to work, sweat wicked away as promised, but looks and feels like an ordinary cotton shirt. Companies attempting this sort of thing before have produced odd-feeling and odd-looking garments but not this time. Worst thing: Remembering not to use conditioner in the wash, which interrupts the drying technology. You can always wash it again, conditioner-free, and its de-sweating properties will be restored, but I'm a swine for forgetting and sticking it in with the rest of the whites. OK, this time last year I said I'd keep you all informed about how my (slightly enforced) weight loss programme was going. I am nothing if not a man of my word, and since I'm between three and a half and four stone down I see nothing wrong with telling absolutely everybody about it who wants to know, and several people who don't. I'll write about the psychological effects another time (they're not universally positive, you might be surprised to hear) but for the moment let's consider practical stuff. I am pretty much surrounded by clothes that don't fit. I went to the gym (yes the gym) a few months ago wearing my gym kit and taking civvies with me; I forgot to take a belt and, you've guessed it, the chinos simply fell off. So it's with some trepidation that I'm trying to work out what my waist size is these days. I was stretching into a 40in but have been trying 36 and more recently going into a 34in in certain brands. One of these is Weird Fish, which has made me aware of its Spring collection. 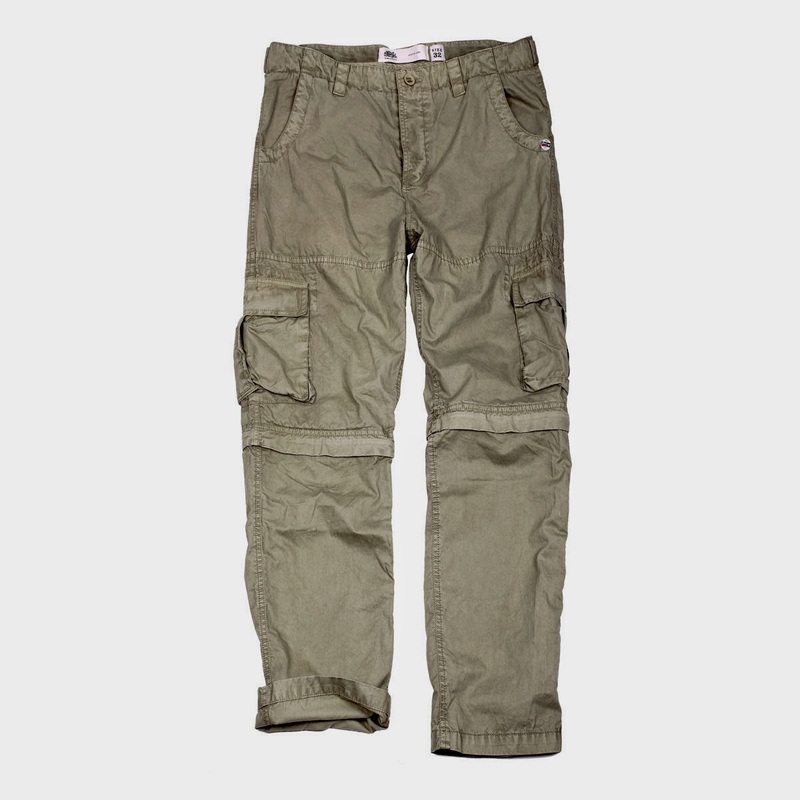 The trousers they sent over to try are well-made, solid stitching and a great casual style; they're the sort in which you can unzip the lower leg to make shorts which don't look as though they've been converted from longer versions, and which somehow don't have a scratchy zip. Weird Fish is one of those companies that makes slightly tighter waists than some; I can do them up and they're comfortable when they're on but I may have been better off with a 36; the jeans I'd bought from another manufacturer the week before are a 34 and are very slightly loose. One day someone is going to explain to all of these manufacturers that an inch is an inch (I suspect the jeans are designed to flatter me while the Weird Fish measurement is slightly more honest). Click the image for a larger pic. 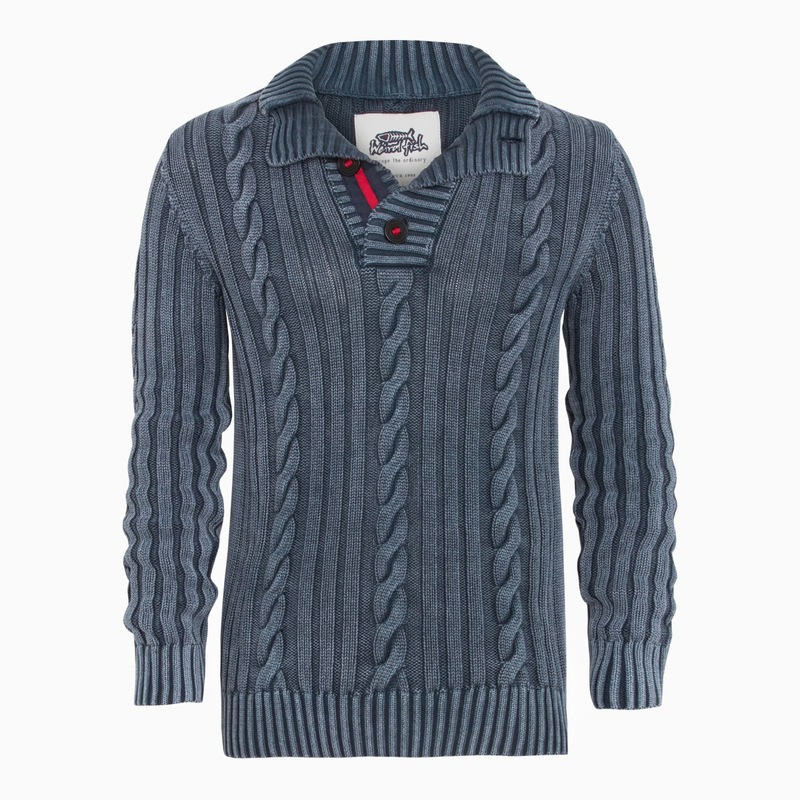 Speaking of flattering, they also sent a jumper, the indigo model you can see to the right. My wife tells me it's very flattering; it's warm enough for the Spring and it goes very nicely with the trousers. The red detailing on the collar and button area make it particularly appealing and if I say so myself the slim cut means I look better than I've done in about ten years. Perhaps oddly there's plenty of room in the XL size they sent; of course I'm used to XL being skin tight, so maybe this is what everyone else has been feeling like for a while! These clothes aren't cheap - you'll get a penny change from £60 for the trousers and the same amount of coins from £70 for the jumper. But they're nicely made - the stitching suggests that unlike cheaper brands they won't be falling to pieces anytime soon - and the pre-fading on the jumper particularly makes it very stylish. Their website and shops may well be hearing from me again.